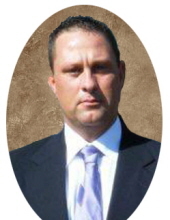 Jeffrey Charles “Jeff” Lykins, age 48, of Parkside Court, Morehead, passed away Saturday, March 23, 2019, at St. Claire HealthCare in Morehead. Born September 13, 1970, in West Liberty, he is the son of Larry Lykins (and stepmother Myra) of Blairs Mill and Mary Holbrook Howard (and stepfather John) of Morehead. In addition to his parents, he is survived by his wife, Hope Howard Lykins, whom he married April 11, 1996, and their beloved daughter, Hayle Marie Lykins. Jeff is also survived by two brothers, Chad Carpenter and wife Beth of Florence and Trevor Lykins of Huntington Beach, California; one sister, Robin Robbins and husband Terry of Blairs Mill; mother- and father-in-law, Doug and Zourdah Howard of Morehead; and numerous aunts, uncles, nieces, and nephews. He also leaves behind his church family, co-workers, and many friends. Jeff was a 1988 graduate of Rowan County Senior High School and worked as a corrections officer for E.K.C.C. prior to becoming a Morehead State University employee in 2011. He was currently an auxiliary services supervisor at MSU. He enjoyed paintball competition, 4-wheeling, target practicing with his father-in-law and brother-in-law, and fishing with his daughter, Hayle. Jeff was a deacon at Slaty Point Baptist Church. His caring spirit and service to others will be greatly missed. Funeral services will be held 11 a.m. Wednesday, March 27, 2019, at Northcutt & Son Home for Funerals Memorial Chapel with Pastor Rusty Hedrick officiating. Burial will follow at Slaty Point Cemetery. Pallbearers: Jeremy Hatfield, Mark Stevens, Larry Howard, Ronnie Perkins, Terry Mays, Chad Carpenter, Brad Hatfield, and Shannon Little. Honorary pallbearers: Landen Carpenter, Jimmy Whitt, Roger Gillespie, and River Carpenter. Visitation is Tuesday, March 26, 2019, from 6 p.m. to 9 p.m. at Northcutt & Son Home for Funerals, 400 Fraley Drive, Morehead, KY 40351. Memorial contributions are suggested to Slaty Point Baptist Church Building Fund, P. O. Box 863, Morehead, KY 40351. To send flowers or a remembrance gift to the family of Jeffrey Charles "Jeff" Lykins, please visit our Tribute Store. "Email Address" would like to share the life celebration of Jeffrey Charles "Jeff" Lykins. Click on the "link" to go to share a favorite memory or leave a condolence message for the family.